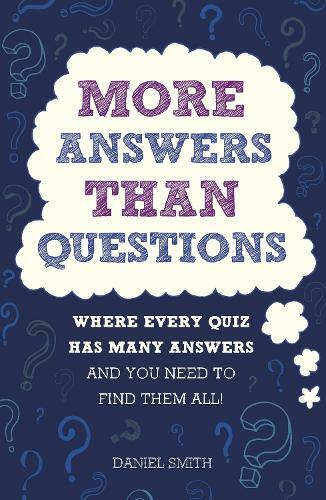 More Answers Than Questions is a quiz book with a difference. Each quiz is composed of eleven questions. Question 1 requires a single answer, question 2, two answers, question 3, three answers and so on, up to question ten. Then there is a bonus question, the answer to which comprises anything between ten and fifty answers. These are quizzes that all the family can work together to solve, rather than trying to out-do each other by being the first to shout out a single correct answer to each question. Subjects covered include: The Arts, Cinema, Food and Drink, General Knowledge, Geography, History, Literature, Music, The Natural World, Science, and much more besides. With each quiz truly testing the depth and width of your knowledge, More Answers Than Questions will provide many hours of family fun - and perhaps some bouts of frustration!